This lovely comfortable cottage is the perfect haven for the sailor or nature lover, offering incomparable panoramic views of Somes Sound and south to Norumbega Mountain, as well as peaceful, comfortable accommodations. As you sip your morning coffee on the deck (which is right over the water! ), keep an eye peeled for a cormorant or a harbor seal — who’ll be watching for the lobster boats and pleasure craft. Although you may feel cradled in your own idyllic retreat, you’re actually just a walk away from Acadia Mountain’s hiking trails, scenic and historic quarries, and Echo Lake’s sand beach. 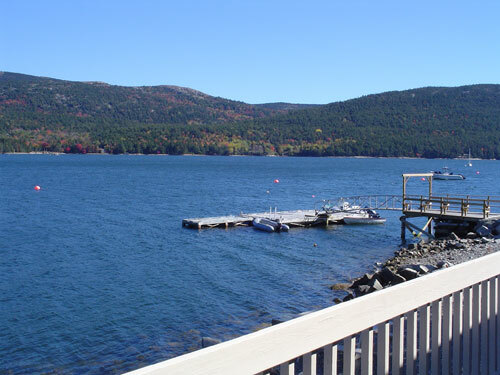 You’ll be just a short drive from the picturesque villages of Somesville, Southwest Harbor and Northeast Harbor, as well as Bar Harbor, Acadia National Park, and all the activities and attractions for which Mount Desert Island is renowned. 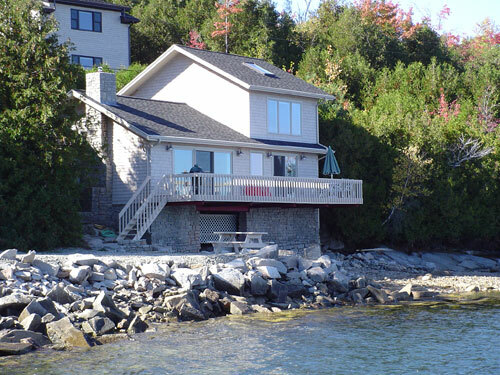 The cottage features a lovely granite (gas) fireplace, a deck overlooking the water (the tide practically comes up under the deck! ), and full access to a boat dock and marina (boat launch nearby). 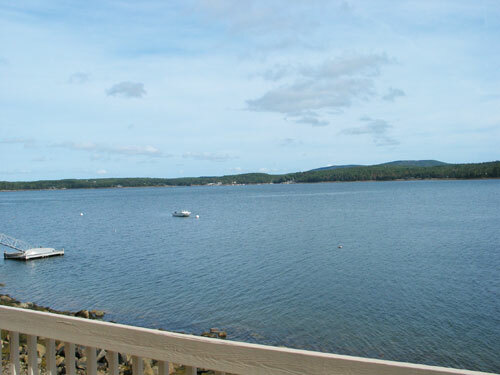 Bring or rent a boat for your wonderful waterfront vacation (mooring rental available). Enjoy boat watching from your deck and cool summer breezes right off the water in the evenings. Easy walk to the shore and dock. The first floor features the Kitchen, Dining area, Fireside sitting area, King bedroom (with gas fireplace), Bathroom with whirlpool tub, bunk room with 2 twin beds (note, these beds are "bunk" mattresses). Open airy floorplan. The second floor features a king bedroom with electric skylight, bathroom with shower and double sinks. Amenities include: Washer & Dryer, Dishwasher, Glass top range with oven, Microwave, Furnished deck, Satellite TV/ DVD, CD Player, WIFIL, 3 Flat screen Tvs, Big Green Egg-Charcoal Grill (see biggreenegg.com for details), Mooring available, gas heaters for chilly fall nights. Click here for more complete list of household items/amenities. Note: no landline phone but cell service is available now.